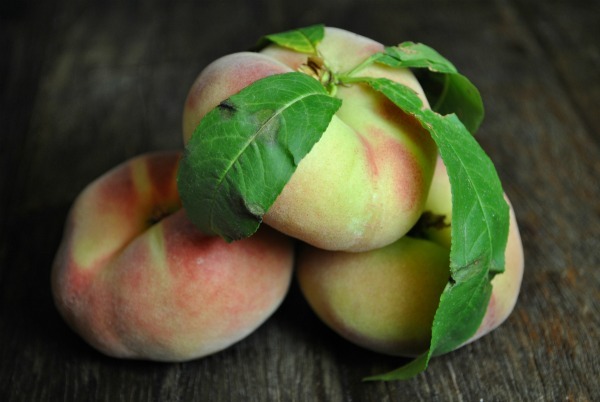 Fruit Maven’s Guide to Peaches! One of the first little fruit that caught my eye was this Desert Gold Peach. Is it me or does it look like a heart? It’s a heart! Fruit! A heart fruit!. 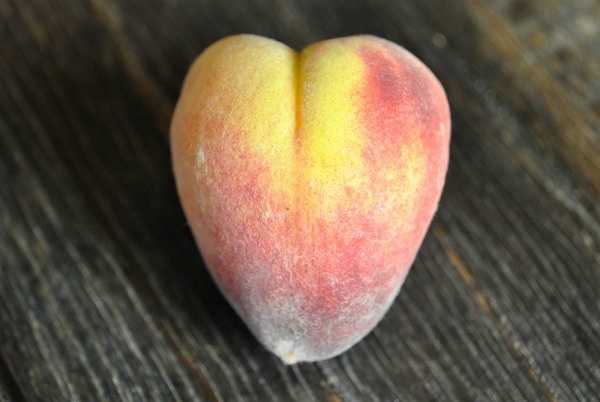 I have a history with heart shaped fruit, but none so surprising and obvious! It was love at first fruit. This set me off on a tizzy of peach buying apparently because somehow I ended up with no less than five different varieties in my bag. 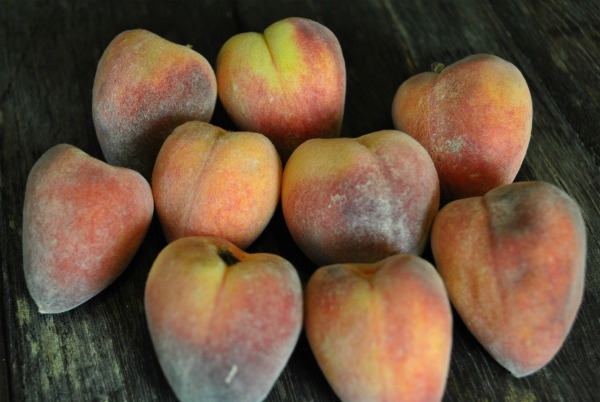 This is compared to zero varieties of apricots, which were also in abundance but um…obviously I don’t like very much. 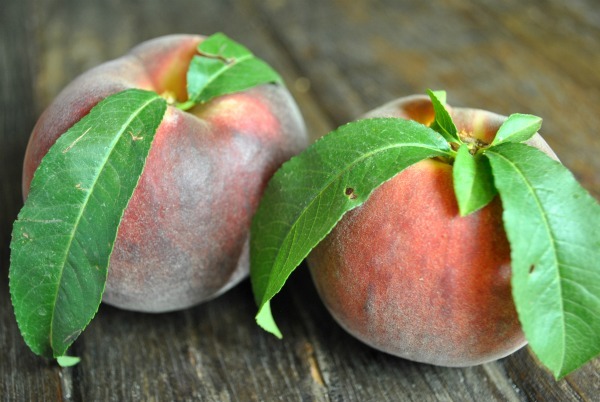 I’ve only ever talked about one other peach, which was the O’Henry and it was my first post on Fruit Maven. At the time, I had a wordpress hosted site and my very first comment was about how I shouldn’t be so mean to peaches. From that moment on I was hooked on blogging! P.S. Don’t like peaches? Don’t worry! There are none (zero!) in my new book, Fruit is Fabulous: An Alphabet Book. It’s a healthy, fun digital book of fruit for kids and adults available on Kindle – designed for lovers and haters of peaches alike. You’re going to love it! I just know it. Thanks! Good tip to try midweek farmers’ markets. I love it when the flesh doesn’t cling to the stone; now I know what to ask for! The wink really added to the eyerolls (like acid adds to sweetness for perfect flavor). Hahaha. Thanks VV! You’re the best. 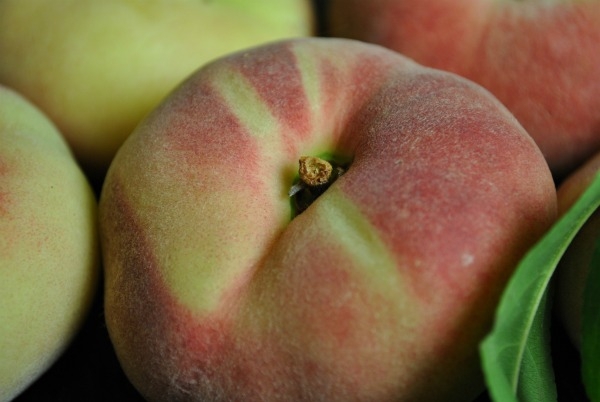 Not sure if you have access to the peaches from Murray Farms (Bakersfield), but if you see them, do buy. 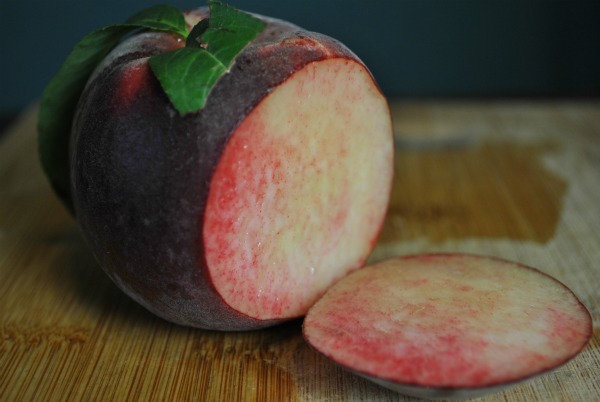 We’re pretty starved for stone fruit out here in the desert, and would probably gnaw on kitchen sponges soaked in peach Kool-aid if we had to, but MF says they only pick at the peak of ripeness, and our customers are gaga over them. 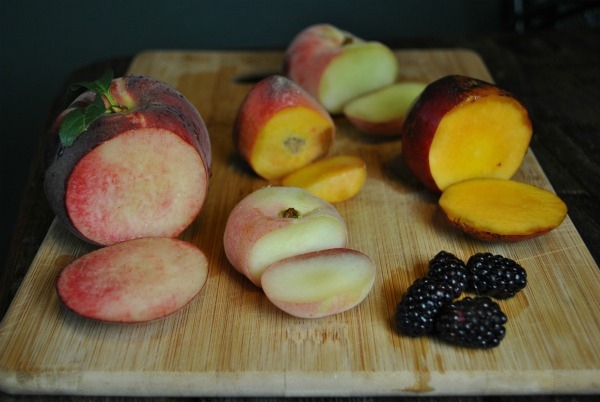 Murray Farms were at the Santa Monica market, but they didn’t have peaches – just berries and cherries. I got some fantastic olalliberries that I’m hoping to post about this week.